First ever Top 10 finish for the VW Tiguan in Russia. The Russian new car market confirms its growth is softening: after ending 16 consecutive months of double-digit gains in September (+6.2%), sales are up 8.2% in October to 160.425 units, leading to a year-to-date tally up 14.1% to 1.457.857. Market leaders Lada (+12%) and Kia (+21%) however frankly outpace the overall growth to post strong shares at 20% and 13.1% respectively. It’s a different story for Hyundai (+1%) and more strikingly Renault (-7%) both frankly trailing the market as do GAZ (-11%) and Ford(-9%) at the tail end of the Top 10 but Skoda (+33%), Volkswagen (+24%), Toyota (+14%) and Nissan (+11%) gallop ahead. Further down, Volvo (+60%), Suzuki (+44%), Mitsubishi (+40%), Honda (+22%), BMW (+21%), Datsun (+19%) and Subaru (+15%) all post splendid gains while the Chinese remain the most dynamic among smaller marques with Zotye (+259%), FAW (+119%), Haval (+117%), Geely (+115%), HTM (+78%), Changan (+62%) and Dongfeng (+48%) making waves albeit all remaining below 0.3% share. Jeep (+132%), Genesis (+116%), Isuzu (+63%), Ssangyong (+54%), Jaguar (+48%) and Mini (+31%) are also worth mentioning. The Lada Vesta (+61%) reclaims the top spot for the 4th time in the past five months and the 5th time ever, widening the gap with the Kia Rio (-10%) in the YTD order. Meanwhile the Lada Granta (+25%) is also in great shape thanks to its recent facelift. Although the Hyundai Creta (-9%) lodges an incredible 27th month as the best-selling SUV in Russia (it never ranked at anything else but #1 since its launch in August 2016), it is in negative for the first time and should brace for the assault of the new gen Renault Duster (-4%) in the coming months. 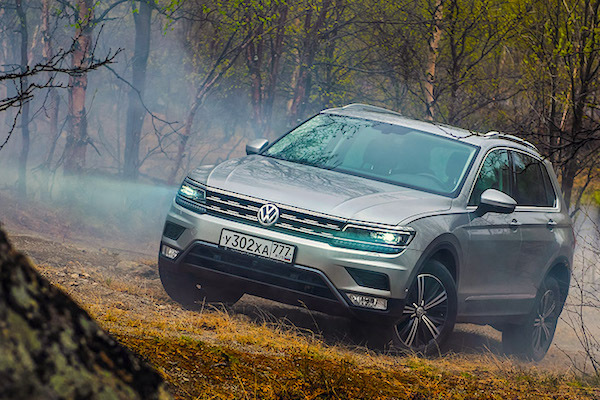 Alongside the Toyota Camry (+60%) and VW Polo (+31%), the VW Tiguan (+24%) posts a spectacular year-on-year uptick enabling it to break into the Russian Top 10 for the first time in history. 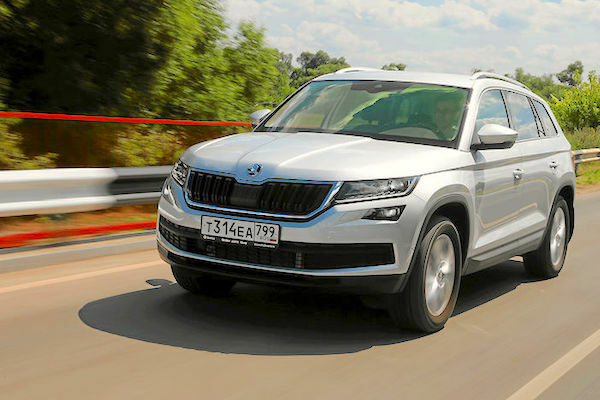 The Skoda Kodiaq (+686%) equals its ranking record at #21, with the Kia Optima (+69%), Hyundai Tucson (+69%), Nissan Qashqai (+49%), Skoda Rapid (+40%), Nissan X-Trail (+28%) and Mitsubishi Outlander (+23%) also making themselves noticed. Full October 2018 Top 55 All-brands and Top 25 models below.